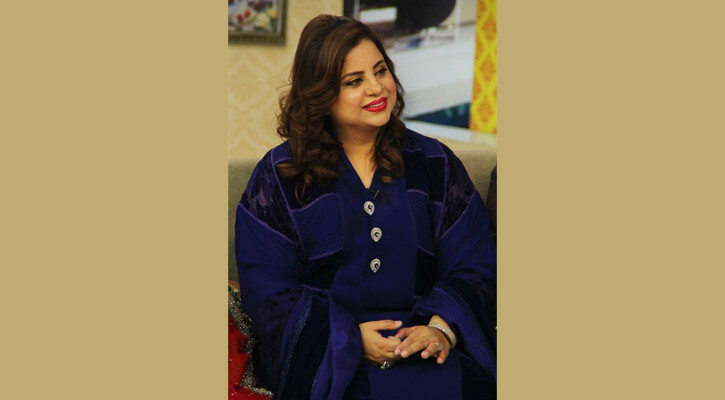 Fashion designer Shazia Kiani runs her label in which she specifically designs heavy formal and bridal wear and put one of the most important elements to make a beautiful dress. Here she just gave such a small interview of what trends exactly will come on way to 2015 and how to carry your outfit with a perfect style. 1. How did you start your label? In November 2008 we started Shazias; our aim behind starting this label was creating an innovation in Pakistan fashion industry. I started it by opening our flagship store in Rawalpindi. 2. Have you ever studied some professional learning in fashion designing? No I don’t have any professional degree in fashion. To me, aesthetics are very strong point, and definitely professional degree matters a lot. 3. What material and techniques do you favor to use in your product? We use pure material like chiffons, jammawar , atlas, silks and organzas. Material is the most important element for a beautiful dress designing, other products which we use are embellishment material which is again selected very carefully i.e. quality which includes kora, dabca, stones, sequins, beads, sworaski and crsytals. 4. The season of spring is known for its bold and bright shades, so what color trends of 2015 are on the way for bride and bride groom? Nature gives you the best color, combination and palette, our inspiration for every new collection is nature. In 2015, for brides especially on the wedding day red with different bold colors including green, blues and purples. For 2nd day, soft suttle colour schemes like ivory, gold and other pastel tones .For bride grooms, I still like traditional gold and black shades. 5. The old style of stone work & dabka still on, or some new kind of embellishments took place? Yes, traditional and old embellishment material is still in, but using them in your own style is what it matters ,material is same but how do you use it is most important. 6. Is it necessary to match bride groom dress with bride dress, or design & color contrast matters? It depends on client’s wishes, but sometimes it creates very good effects in shoots and videos. So basically color and contrast what it matters. 7. As every time too much colors, prints and accessories can’t wear all together; it looks goddy, so suggest some selective dressing sense to have an elegant covering for spring evening parties? For a perfect look for evening in springs, you can go for some very nice bright color dress, you can accessorize through piece of necklace along with floral scarf. If you are going for heavy piece in neck you should go for small studs in ears. 8. Due to heavy embellishments on dupatta, the hairstyle of a bride gets ruined, so any solution of it? For a traditional bride, duppatta is very important but work on duppatta should be not very heavy. Front border should be heavy and other three sides with less work just to balance weight. 9. Which kind of jewellery trends like silver or gold form is uprising today for a bridal wear? Traditional jewel piece is very much update these days, Rani haar and Matha pati is very trendy for brides. 10. Do you feel more comfortable in working with international models or our local ones? Our specialty is in bridal wear and heavy formals, so our local models carry them really well. And their eastern looks go well with our traditional bridal dresses. 11. For the reception, what do you prefer a bride should wear to feel light and lively? It should be not very light but easy to handle, there is a lot of embellishment material which is light weight. 12. When you go abroad to showcase your collection, then which sort of clients you target? Basically we are into heavy formal and bridal wear, so we have a lot of clients who are interested for their wedding dresses and they are our target clients. 13. What are cuts and fabric material coming in 2015? Cut are little slimmer but again blending of western and eastern, is more in vogue. Material is Atlas, jammawar and silks. 14. Suggest some home remedies of how to take care of heavy wedding dresses when the embellishments get darker? If you handle your dresses properly they won’t get dark, you can wrap them in muslin cloth, and your dresses can be safe for years. Nature gives you the best color, combination and palette, our inspiration for every new collection is nature….